Meeting with a Legacy Certified Application Counselor? Marketplace insurance is for those who don’t have insurance through their employer or Medicaid, Medicare or Children’s Health Insurance Plan (CHIP). You must re-enroll for 2019 if you already have Marketplace Insurance. 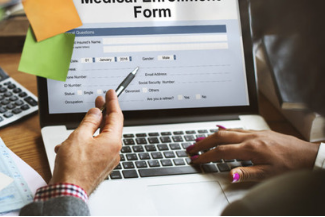 The enrollment period for 2019 Marketplace health insurance plans, also known as Obamacare or the Affordable Care Act ends on December 15, 2018. Open enrollment begins Thursday, November 1, 2018, and ends Saturday December 15, 2018. If you don’t act by December 15, they can’t get 2019 coverage. Most people get financial assistance. Legacy’s Certified Application Counselors can figure out if you qualify and help you with enrollment. Anyone can schedule a free appointment with a Legacy Certified Application Counselor. To learn more and schedule an appointment call (832) 548 5000. All plans sold during Open Enrollment start January 1, 2019. You can enroll by phone with the Marketplace Call Center at 1-800-318-2596 or TTY at 1-855-889-4325; or online at healthcare.gov after contacting the Marketplace Call Center. The Marketplace Call Center and website are open 24/7 with the exception of major holidays. Over 100 different languages are spoken by those answering the call at the Marketplace Call Center. If you need assistance, schedule an appointment with a Legacy Certified Application Counselor by calling (832) 548 5000. Know your Marketplace log-in and password prior to scheduling an appointment with any Certified Application Counselors. This will speed up the process and not take time away from your appointment. 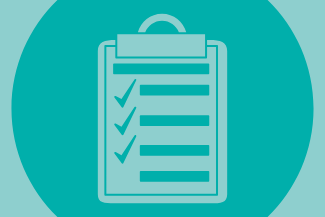 Use the checklist to make sure you have all the information you will need to enroll. Keeping or updating your current plan? You must still re-enroll during November 1, 2018 – December 15, 2018. Plan ahead! Enrolling takes time and you don’t want to miss the deadline. Visit healthcare.gov to complete your application once the Marketplace Call Center gives you access. Schedule your one-on-one session with a Legacy Certified Application Counselor who can assist with education and enrollment by calling (832) 548 5000. With an Legacy Certified Application Counselor, you will visit the healthcare.gov website to complete your application once the Marketplace Call Center gives you access by creating an account. A completed “Employer Coverage Tool” – this is a tool offered by healthcare.gov which needs to be completed for any member of the family who isn’t enrolled in a job-based plan. Link tool here. A list of medications and dosage by mg. 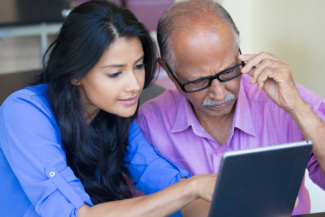 If you cannot afford your health insurance premiums or have difficulty with your co-pays or yearly deductible, Legacy Community Health may be able to help determine if you qualify for financial assistance. Click here for more details or call (832) 548 5000. Didn’t the federal government end subsidies? Subsidies to help low-income individuals purchase insurance are available. Find out if you qualify by calling The Marketplace Call Center 1-800-318-2596 or scheduling an appointment Legacy Community Health at (832) 548 5000. Why would I enroll in the ACA? It’s cheaper to have insurance than to find yourself in an emergency and not have it. The website Healthcare.gov, used to sign up for health insurance, will be shut down overnight on Sundays throughout the enrollment period. You will not be able to enroll when the web site is down. Enroll by phone with the Marketplace Call Center at 1-800-318-2596 or TTY at 1-855-889-4325; or online at healthcare.gov. Schedule your one-on-one session with a Legacy Certified Application Counselor who can assist with enrollment by calling (832) 548 5000. With an assistor, you will visit the healthcare.gov website to complete your application once the Marketplace Call Center gives you access. When can I call the Marketplace Call Center or Legacy Community Health for assistance? The Marketplace Call Center can be contacted 24 hours a day, seven days a week. Legacy Community Health can be contacted from 8 am to 5 pm, Monday through Friday to schedule a one-on-one session. Should I wait to enroll? Do not delay! Having health insurance sooner than later could mean the difference if you find yourself in a medical emergency.